← The Biggest Rug Ever! At the end of last year, a colleague at work kindly offered me some fleece from his 3 alpacas. I said that I’d love to have one … maybe white please, and ended up with a car full. I think he gave me the combined shearings from the last few years! I managed to find a home for some of it with the spinning guild, but this summer I got another 3 fleeces! The garage is getting a bit full of alpaca. 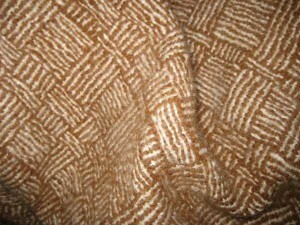 There are 2 brown alpaca (a Suri and a Huacaya) and 1 white – which has a fine soft fibre. 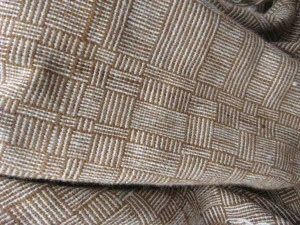 In order to reduce the alpaca mountain and repay my colleague for all this fibre, I started work on something woven. 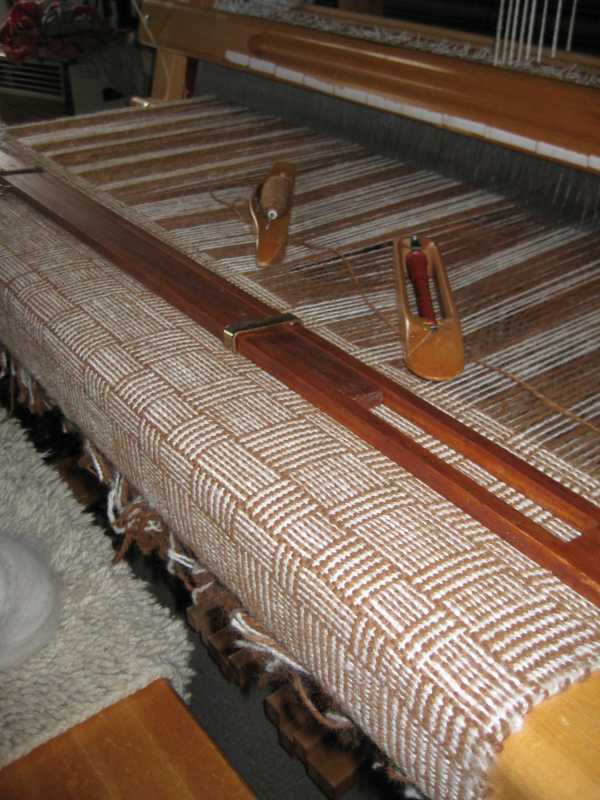 The best parts of the brown and white fleeces (about 1/3rd of the total is good quality) was washed and handspun, then warped onto the loom for a blanket. The piece is about 1m wide by 2m long, with a simple semi-random log-cabin pattern. It is a very simple pattern but effective. 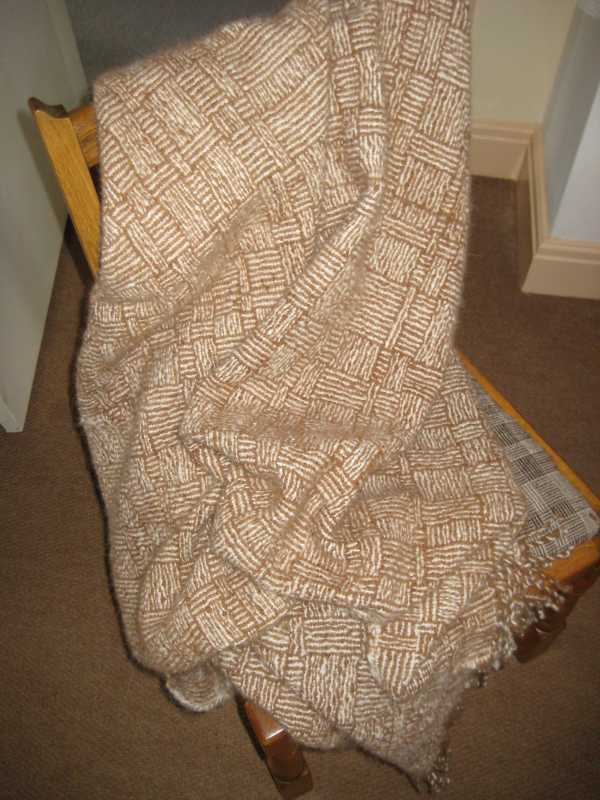 The handspunwarp held up pretty well, though alpaca is notoriously slippery, and a few of the brown warp threads slid apart as I appraoched the end, and needed repairs. 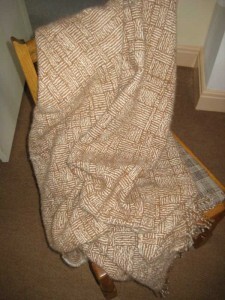 Off the loom, the piece felt a bit hard and unpromising, but it finished very well, soft and fluffy. This entry was posted in Whats going on!. Bookmark the permalink.